Early on, we see Hurley saying, “we’re all gonna die” as was teased in the trailer. 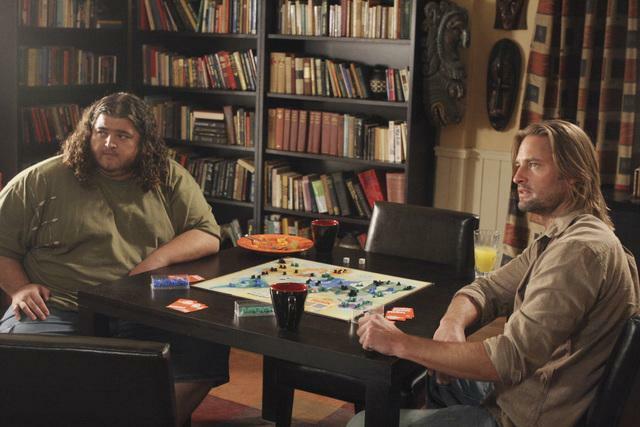 However, we find out this is just a fake-out and that it’s just because he’s playing Risk with Sawyer and Locke. He says to Sawyer that Locke’s plan is to get them to fight amongst themselves so Locke can win. I found this segment to be a big hint towards what was going on with the episode. I totally laughed out loud moments later as Sawyer was coming under enemy fire outside the bunkers. Suddenly, a B-level Lostie we’ve never seen before appears near Sawyer, only to be immediately killed, then another and another. I was cracking up at yet another Lost tribute to Star Trek’s Red Shirt Rule. In fact, the last Lostie to bite the bullet was even wearing a red shirt. 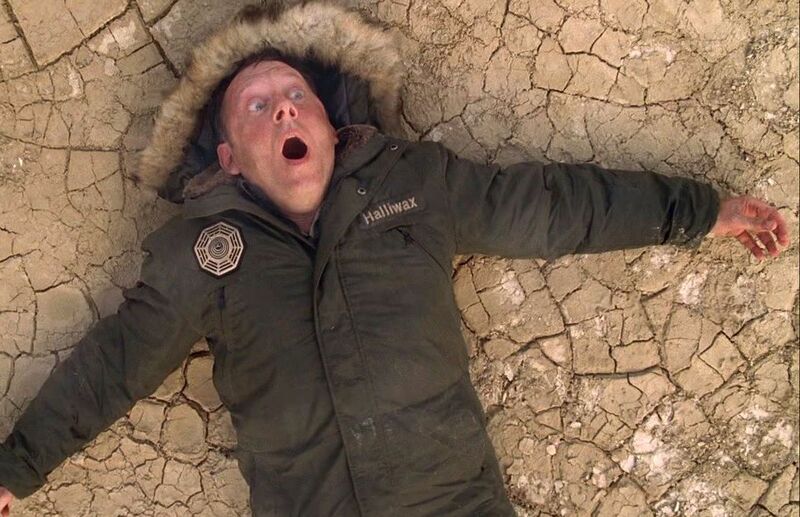 These were the funniest death scenes on Lost yet. 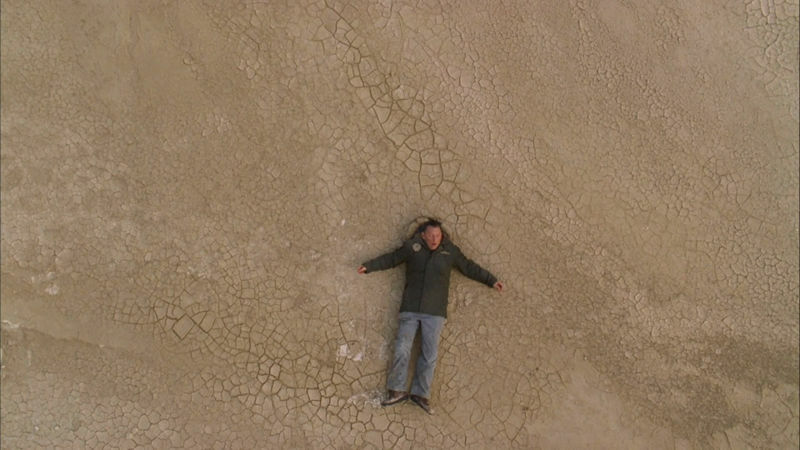 During the flash-forwards, we see Ben magically teleport himself to the Sahara Desert (notice the shape of his body forms an arrow—the shape of things to come perhaps?). According to the simulation theory, this can mean that he is either still within the simulation here, or, he’s using the technology developed by DHARMA within the simulation for the real world. 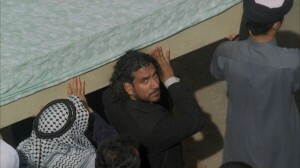 Ben eventually meets up with Sayid and tells him that one of Charles Widmore’s men killed his wife, Nadia. Of course, this leads to speculation that perhaps it was Ben who killed her in hopes of tricking Sayid into joining forces with him to take down Widmore. 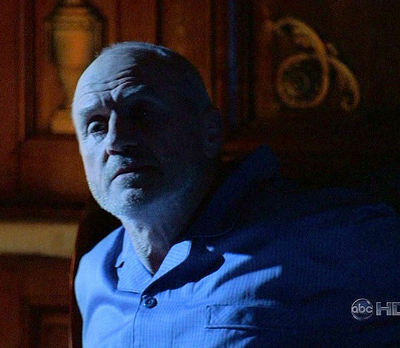 Later in the flash-forward, Ben pays a visit to Widmore in England, sneaking up on him while he’s asleep in his home. Widmore wonders why Ben came, if he plans on killing him. Ben says he knows he can’t do that, but is angry that Widmore changed the rules and killed his daughter. Widmore says, “I know who you are, boy,” and goes on to say that Ben took away everything he had. Ben then says that he’s going to kill Widmore’s daughter, Penelope. There are a lot of hints here. Mix it up with the Risk game at the beginning of the episode and I believe more than ever now that this is all kind of a sick game between Ben and Widmore. Perhaps Ben is the devil and Widmore is God and the world is their game board with the prize possession being the Lost island. They are both playing a game with human lives as the “pawns” as Ben describes his daughter. 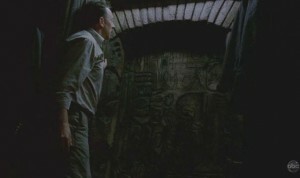 With Ben repeatedly speaking of “the rules” and the Risk game scene at the beginning where Hurley hinted about an opponent getting an enemy to fight amongst themselves in order to win, perhaps then, Jacob is God or the Messiah and he’s getting his two evil opponents—Widmore and Ben to fight amongst themselves so that he can once again be free. He does, after all, have long brown hair and a beard, and is being held in captivity. Maybe he is using Satan and God to battle it out amongst themselves so that he can one day be free to return to the earth. The solution may be less Biblical than that, but I do think Jacob is getting Ben and Widmore to fight and eliminate themselves so he can be free. The Biblical part might just be the mythical interpretation. The other possibility uses Widmore’s reference of Ben as a “boy.” Perhaps Ben is still the young boy we saw who first entered the island, and just appears older. Perhaps he is playing the older Ben character in an Internet game like World of Warcraft or Second Life and Widmore is his opponent who recently changed the rules. If this all is a game, it does fit with the simulation theory, only, perhaps the dead people of the game don’t live in real life after all. It does seem as though Ben has truly lost Alex. Yet, maybe she’s only lost to him because he is stuck within the game and can’t get out. This is the first episode I’ve seen since learning of the rather complex time-loop theory. My favorite part of that theory was how it explained the monster as a sort of fate incarnate, making people die as they were supposed to, etc. Yet, since Ben releases the monster in this episode and sets it against the soldiers, this does not seem to be the case. The monster does seem to be a security system, or anti-virus device—the stance taken in The Myth of Lost. However, early in the episode, the doctor washes up on the shore and when Jack asks Daniel Faraday when he last saw the doc, Daniel replies that time is all “relative.” This hints that the island is in a different time than the outside world and that perhaps the doc will be killed later. Thus, the island may exist in the future. This can still be explained by the simulation theory assuming that the freighter is within the program as well. Of course, it fits in better with the time-loop theory since time dimensions is its entire theme. I have no doubt that time travel plays into the solution of the show. I just don’t think it will be the whole answer. Especially since the show creators said that there would be no spaceships and no time travel on Lost. They may have lied, but it seems like a pretty big one if that’s the point of the show. Mythologically speaking, I don’t mind a time-loop solution as long as it can explain why all the Losties have issues and die once they solve them, why they all had access to lots of money or were criminals, what the smoke monster is and how it can be controlled, how Locke and Rose were cured yet other Losties died, why women on the island can’t have babies, why the children were taken away, why those traveling on the sub need to be knocked out for the trip, why Walt and Miles have powers, why Karl was being reconditioned in room 23, what the whispers are, how Mikhail “Patchy” Bakunin was able to continually come back to life, what the numbers are, how the characters are able to see ghosts, and why everyone is connected. 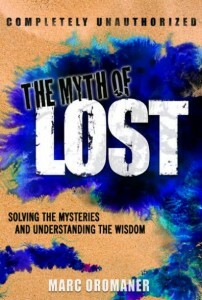 All these mysteries are explained pretty well by the simulation theory in The Myth of Lost.